Imagine plopping down your credit card to turn on computer services late at night when there's no time to get permission from your boss and then getting distracted before the weekend on another work emergency. On Monday, when you remember you signed up for the services, which you intended to use for just a short time, you discover you've racked up US$5,000 in charges on your personal card. It happens, said J.R. Storment, co-founder and chief customer officer of Cloudability, a company that hopes to make sure people don't get stuck with such bills anymore. Developers can use Cloudability, launching Wednesday in an open beta, to track all of their cloud services from one place and to sign up for alarms when they reach spending thresholds. The service also points out unused or underused services, specifying exactly how much money a user can spend by turning off the services. Cloudability's offering addresses a common problem that has emerged as a result of one of the benefits of cloud services. Because cloud services like Amazon and Heroku are so easy to sign up for and start using, individual employees are doing so, often "with the personal account they also buy shoes with" and expensing the company for charges, Storment said. "Ultimately what you have is people in these organizations signing up for these services willy-nilly, using their own credit cards," he said. Some companies using Cloudability in beta are tracking 70 different cloud accounts, he said. Since there's no standard tracking mechanism used across the cloud services, IT administrators who want to watch spending have to log into each service separately, export data into a spreadsheet and create some kind of tracking tool, he said. While that helps track spending, it doesn't help identify forgotten or underused services. Cloudability aims to address both of these problems. IT administrators start using the online tool by signing up and then choosing all of the services they use. Cloudability has pulled in 81 different services and continues to add more based on those most commonly used by customers. The user then inputs all user IDs and passwords for the services. Once all the services are inputted, Cloudability shows the user a dashboard displaying costs. A user can look at total cloud cost per month, per vendor and per account. Users can view other reports too, such as how much the company is spending on each vendor. Users get a daily email showing how much the company spent in the past month and day and highlighting services that are spiking. Data can be downloaded into a CSV file and imported into other tracking tools the company might use. Users can also set alerts to be sent via text message when a service nears a budget limit or if spending spikes by a certain percentage. A cost optimization page on Cloudability makes suggestions about how the user can save money. For instance, it would note that a company has 10 instances on Amazon that have been unused for 72 hours and shows how much money the company would save if it turned off those instances. It also points out unused accounts on services like Salesforce, also showing the savings for removing the accounts. Cloudability has around 300 companies that have been using the service in a private beta. Slideshare, one of the beta customers, had once signed up for 50 instances on Amazon, forgot about it over the weekend, and racked up $5,000 worth of compute usage, Storment said. Cloudability discovered that while the service is useful to CIOs and vice presidents of engineering, it's the developers who bring it into the business. That's because it's the developers who are putting the services on their own credit cards, and they are the most worried about accidental huge expenditures. "What's happening is they don't have a system in place to remember to turn these things off," he said. 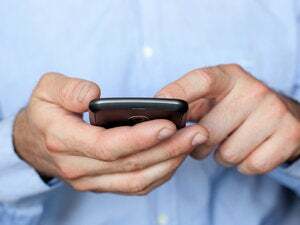 "The providers aren't saying, 'You spun up these 10 instances last week and they haven't been used in seven days, you might want to turn them off.'" He thinks the "bottom up" approach, where developers sign up for the service and tell their CIOs about it, will help drive sales, rather than other approaches that might require trying to sell a CIO on a cost management tool. 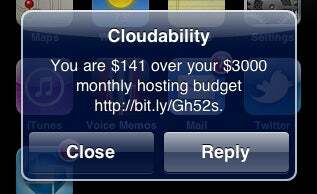 For businesses that track less than US$25,000 worth of cloud spending per year, Cloudability is free. Once a user is spending more than that, they must pay a percentage of that spending to see reports and alerts. After $25,000 of spending, they also must pay to view the cost savings tool; Cloudability charges a percentage based on how much the company saves using the tool. Cloudability is not alone in trying to address spending control and tracking in the cloud. Cloud Cruiser lets businesses track usage of internal and external clouds with the aim of helping companies accurately charge business units for their use of cloud services. Other providers are building stronger cost-tracking features into their services. For instance, OpenLogic, which recently launched a platform-as-a-service offering, includes a feature that lets users track usage and cost of its own service as well as other public and private clouds.